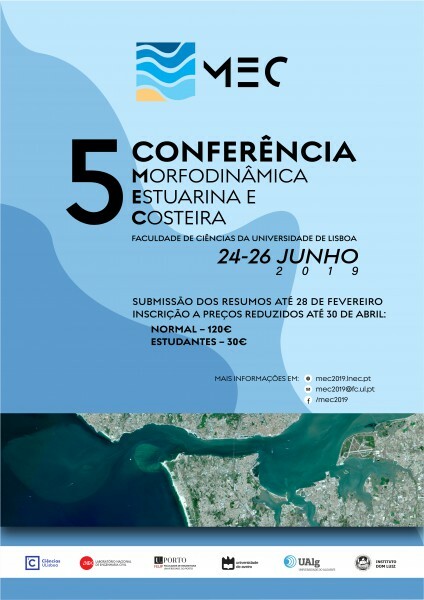 The 5th Conference on Estuarine and Coastal Morphodynamics will be held by the Faculty of Sciences of the University of Lisbon, 24-26 June 2019. This event is supported by CESAM through the participation of some of its members in the organizing and scientific committees and intends to be a presentation forum of research works related with the morphodynamics of coastal zones. Moreover, the event aims to potentiate the discussion of ideas and spread the knowledge on coastal zones. Works on the dissemination of research projects related with the estuarine and coastal morphodynamics will also be accepted.